Are you looking for a unique venue to rent for an off-site meeting, product launch, conference, seminar, or team-building? 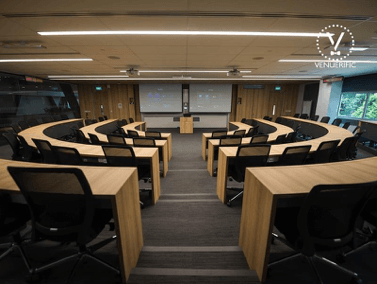 You are in the right place to find suitable types of venues in Singapore that will match your event. Singapore that you can book for any corporate function. Whether you have volunteered to be on the events committee team at your company or are from an events company tasked to organize an event for a company, take your game up a notch by browsing through a list of unique venues that will add a breath of fresh air. Let loose of the pressure of organizing activities for your team like seminars, product launches, and team-bonding sessions. You can find venues that will take care of all your event needs. 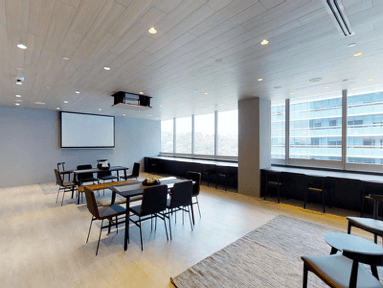 From amenities such as stage, A/V system, projectors to meal options like lunch buffets and tea breaks, venues on Venuerific are equipped to be flexible event spaces that cater to a variety of requirements. Looking for a casual cafe or a high-rise rooftop bar overlooking Singapore's beautiful skyline? Choose an extraordinary dining venue that is to your liking. Our venues are especially curated to give you the best event planning experience with their own unique features such as a view of the Marina Bay Sands, an energetic vibe or a posh and commendable customer service. Our dining venues are also well-equipped with the necessary amenities such as an A/V system, projector, stage and lighting system. By using the filter system on Venuerific, you can optimize your search and find the perfect corporate event venue to meet all your hosting needs.